Thinking of a trip to Cuba? 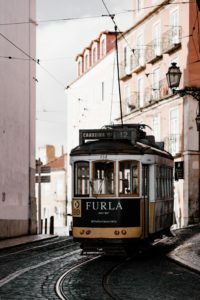 If you are, then you’re the kind of traveler that already knows you’re seeking an adventure off the beaten track, but as with most paths not taken, you know if you don’t get there you won’t be able to check that country off your bucket list. Currently, it’s advantageous to be part of an organized group which could make your trip to Cuba a little more expensive but what good meal doesn’t come with a price tag. Often worth lightening your wallet for that once in a lifetime experience. Chiefly under Spanish rule from the 1500s, the country of Cuba was created more than 150 years ago, in 1868. Cuba is a country noted for its perseverance. Politically it has been through a lot but its people have persisted under a variety of regimes and produced art, music, architecture, cuisine and dance that is celebrated worldwide. 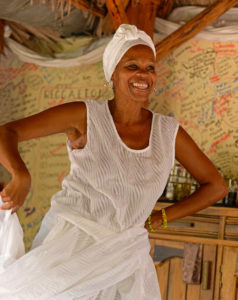 Cuba is the ​birthplace of classic dance styles like the Bolero, Mambo and Cha Cha. 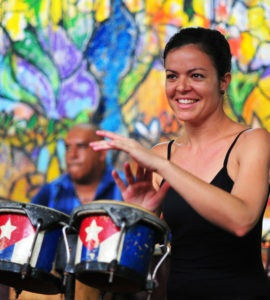 Many of the bars and clubs feature live salsa, perhaps the most famous form of musical expression in Cuba. Oh, but then there’s the rumba. They’re all good. 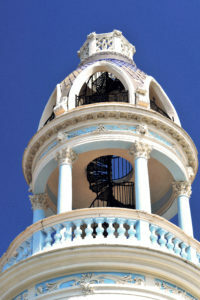 Rich in history, one city not to miss is Camaguey. After you’ve soaked in its quaint colonial streets and plazas and you’re ready to let loose, check out the Casa de la Trova for some music and dancing. Don’t worry, there are plenty of residents that will be happy to take you for a rumba around the room. When you’re in Cuba you’ll undoubtedly see scores of young children running around in various colored uniforms. 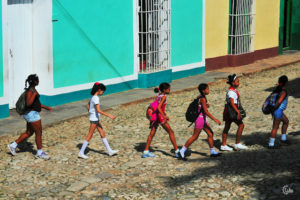 Grade school is mandatory for every child in Cuba between the ages of 6 and 15. Uniforms are required and the various colors indicate grade level. Cuba has a 99.8 percent literacy rate, which is one of the highest in the world. Cuba has the highest doctor to patient ratio in the world. In fact, there are so many doctors in Cuba, that many of them are sent abroad to countries needing medical professionals. 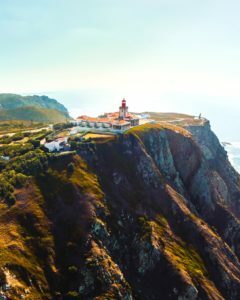 Off limits for so many years, travelers are eager to visit this country known for its colorful vintage cars, Desi Arnez ambiance, and Ernest Hemingway haunts. Oh, those vintage cars. 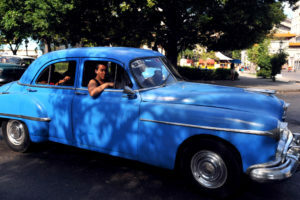 Keep in mind that the only cars that Cuban citizens can own legally are cars produced and bought before 1959. After that they were seized by the Cuban government. Most of the pre-1959 cars in Cuban are from the United States. A war correspondent, author Hemingway became a permanent fixture in Havana, Cuba’s capital. He made a decision to stay in this country longer than many Americans elected to when relations between Cuba and the United States wet sour. He liked the island lifestyle, fishing from his boat Pilar, hanging out in Havana and entertaining guests at his now famous home Finca Vigia. You can go there today and view his many hunting trophies, original furnishings and artifacts. If you want to soak up more of Hemingway’s world visit the nearby seaside town of Cojimar. Sadly, for Hemingway, little of the work he did from his Cuban home was published during his lifetime. Many of his works written throughout the 40s were later edited and published posthumously. If you happened to catch the recent Westminster Kennel Club dog show that was h eld in New York you’ll know that darling Bono won the toy group. Bono is a Havanese, the national dog of Cuba, it’s a first for this breed. Prancing around the arena with his long, silky silvery and white coat, he strutted like the true champion he is to victory. The Havanese is a sturdy dog of many colors and patterns. He’s friendly, playful, alert and intelligent. His gait is springy and sets him apart from other breeds. I thought at the time that all of his characteristics speak for the culture and character of Cuba itself. His win is a win for Cuba and no doubt a further enticement to visit this enchanting country. So, stretch. See yourself walking those sun-drenched cobblestone streets listening to sultry salsa music, eating creole cooking, perhaps a sweet thing tinged with coconut and relish this land of rum, revolutions and rumba. Good things come in small packages. Traveling in a smaller group insures that you will have a more intimate experience and the flexibility and freedom to explore. 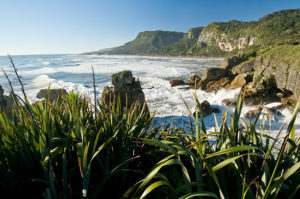 Biotrek Adventure Travels offers just such a package for the discriminating vagabond. At one point in my travels, I found myself sitting on the patio of a small hotel overlooking pristine white beaches taking an afternoon rest. I was in South Asia. Among those lounging about was Sir Arthur C. Clarke, notable for his science fiction blockbuster 2001: A Space Odyssey. I later learned that he relished this part of the world and came as often as he could. As we comfortably chatted, a praying mantis landed on my knee. As I was about to brush it off, he told me that I was very lucky that it had chosen me to visit. So, I let it sit there awhile although I am not a fan of insects – particularly rather large iridescent green ones with triangular heads. But, I took a lesson from Clarke and the culture around me and treated it with respect. In India, guests reach a near god-like status and are very welcomed. The country is large and divided into nearly 30 states with as many languages. India is complicated and affects people in different ways. While it may be teeming with humanity, its history, mystique and charm are undeniable. There’s lots to love. I’m a romantic so I opt for the ‘love it’ option. What’s not to love about the Taj Mahal? Aside from the fact that it is constructed with white marble, it is architecturally a magnificent structure combining Indian, Persian and Islamic styles of architecture. 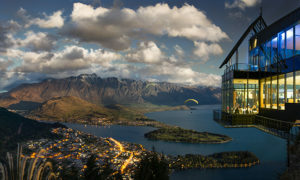 The architect, Ahmed Lahauri, had a vision of paradise in his pristine structure that took more than 20 years to build. And it is reported that it took more than 20,000 hands to create, from laborers and stonecutters to painters, embroidery artists and calligraphers to name just a few. The Taj Mahal is one of the world’s most symmetrical structures. Its four sides are perfectly identical. Yet, it has its moods, like a woman, like a lover and viewed at different times of the day, you’ll see its creamy white turn to a pinkish hue. 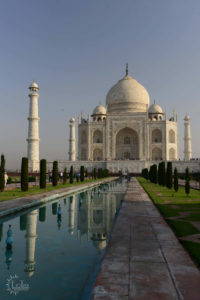 With its marble and tile, the Taj Mahal has a tremendously reflective character. It’s a particular attraction with a full moon. Sunrise is spectacular. Speaking of symmetry, I’m reminded of one of my favorite poems by William Blake. Among the world’s cats, while fearsome, the elegant and sleek beauty of the Bengal tiger is unrivaled. Sadly, most of the world’s large species of cats are on the endangered list. 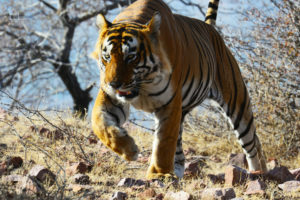 So, a visit to Ranthambhore National Park gives hope, learning about the Indian government’s Project Tiger, a conservation program launched in 1973 during the administration of Prime Minister Indira Gandhi. Its mission is to sustain a viable population of Bengal tigers in their natural habitats. The government has set up a Tiger Protection Force to not only combat poachers but fund relocation efforts to minimize human-tiger conflicts. 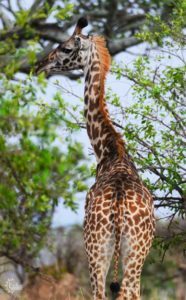 If you’re an animal fan like myself, you’ll enjoy seeing a host of animal and bird life from crocodiles to sloth bears and black storks to serpent eagles – bring your camera – suspect you’ll see a tiger or two as well. If ever there was a movie that would entice you to India, in my book, it’s got to be The Best Exotic Marigold Hotel with a cast of characters that, in many ways, captures much of the heart and soul that is India – romantic, chaotic, well meaning, funny, colorful, ritualistic and honorable. 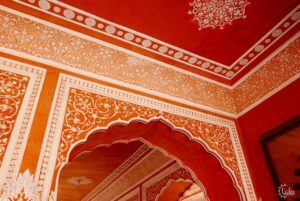 The movie is set in Jaipur – known as The Pink City – and when you see a couple of soon-to-be star-crossed lovers from the film scootering through the narrow streets of pink-colored buildings, you’ll know why it’s called that – most of the structures are a shade of pink. Crazy for color? 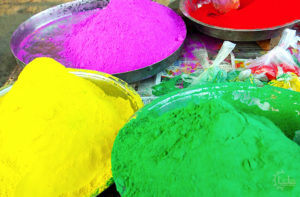 Dhulandi (Holi), known as the “festival of colors” is a Hindu festival celebrating the triumph of good over evil and the changing of the seasons. Out bad winter and welcome spring! It’s held in The Pink City. 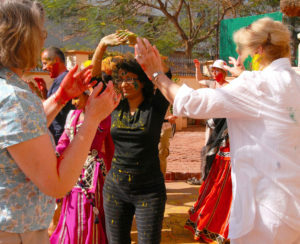 Dancing and parading with a troupe of dhol players – traditional wooden drum played in South Asia – participants will splash each other with water and powdered colors of red, yellow, blue and green. It’s a vibrant burst of living color to be sure as family and friends come together to laugh, dance and feast. Residents of the city put in a lot of effort and heart into this unique festival not to be missed if you are vising Jaipur during this time. Truly a memorable experience. While the Taj Mahal is no doubt at the top of the list when it comes to regal structures, there is no shortage of forts, mosques, palaces and temples to dazzle and delight. Amber Fort overlooks the Maota Lake. A network of palaces and courtyards winds its way up a hill. Magical and mysterious, India is full of surprises. One such place worth a visit is the town of Fatehpur Sikri, a complex of intricate structures made of red stone clay, this town is in the Agra District of Uttar Pradesh. It was built in 1571 by Emperor Akbar, partially abandoned when he left for a campaign in Punjab and then completely abandoned in 1610. Standing more than 175 feet high and massive in structure and design, the Buland Darwaza, marks its entrance. Let your imagination do some spinning. Why would you totally leave such a place? When you visit Delhi, be sure to see the Lotus Temple, so named because of its flowerlike shape. It is a Bahá’í House of Worship open to all regardless of religious affiliation. Aside from its architect Furiburz Sabha winning many awards, it is surrounded by lush and alluring gardens, well worth a look see. Modern in design, while in stark contrast to many of the ancient structures, it speaks to a side of India today that is forward thinking yet at the same time honoring the rich legacy of this country’s rich past. W hile small in stature, Mahatma Gandhi was larger than life. An Indian activist and leader of the Indian independence movement against British rule, he led his cause using nonviolent acts of civil disobedience. Not only did he lead India to independence, he inspired worldwide movements for civil rights and freedoms around the world. 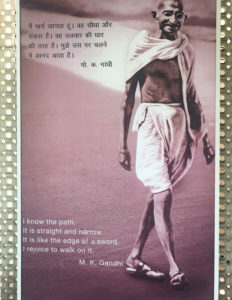 You can learn more about his life at the Mahatma Gandhi Museum in New Delhi. Mixed in with so much to see, there’s lots to hear, smell, taste and touch as India is alive with exotic foods, colorful markets and bazaars and the teeming life of the streets. Oh, and you can be lucky enough to visit without a praying mantis landing on your knee. I’m a writer and keeper of journals. When I went with Sunny Reynolds with Biotrek Adventure Travels to the Galapagos Islands a friend gifted me a small, leather bound book for notetaking and jotting down impressions. I can look back, read a few lines and remember that particular magic moment. Those once in a lifetime moments uniquely offered when you make that decision to go on an adventure. How you experience those unforgettable moments matters. What you are seeing, smelling, hearing and tasting has much to do with where you are and how you got there. Of course, Humphrey Bogart’s portrayal of Rick Blaine immediately came to mind in Casablanca, but that filming never left Warner Brothers Studio except for some shooting at Van Nuys Airport. However, having dinner at Rick’s Cafe is definitely worth the memories. The restaurant and piano bar are designed with architectural and decorative details reminiscent of the film – watch for shadows cast on the white walls from the light of luminous brass fixtures. 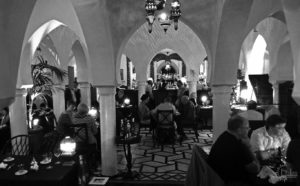 The food is excellent and, of course, there is a pianist on hand to add some music as time goes by in Casablanca. There are, however, dozens of films that were produced in this North African denizen of medinas and souks. Morocco has spectacular year-round weather. The sun shines just about all of the time. It has a range of landscapes from its fantastic deserts, many with massive fortifications, to its labyrinth-like and beautiful cities to its coastal towns. 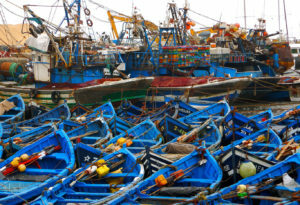 Filmmakers have been drawn to Morocco and Morocco, in turn, has been very hospitable to them, making it a good match. 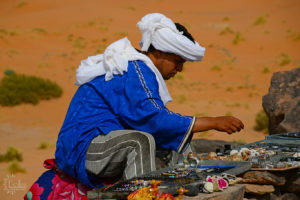 With Morocco as a backdrop, this country continues to be a dream destination favorite for mystery and adventure aficionados as well as romantics. I know that some of my earliest images of the beauty of this land came from watching Peter O’Toole, clad in flowing white robes, with his dazzling blue eyes, looking out over oceans of pristine desert in Lawrence of Arabia filmed in 1962. Author’s impressions of Morocco can be found in works like Marrakech the Red City, which contains George Orwell’s impressions of Marrakech. 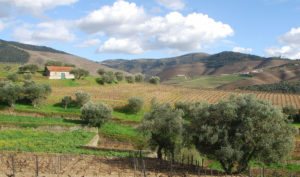 Cr edited for being the first travel guide of Morocco, is In Morocco, written by American novelist Edith Wharton in 1920. Her work contains vivid encounters with the wild Berber tribesmen in the Medina of Marrakech and in the houses of the gentry with their restricted role for women. She also talks about the harems of Rabat and Fez. A Year in Morocco by Peter Mayne will give you a glimpse into life in Marrakech and is useful for understanding some of the foibles, customs and pitfalls of setting up a home there. American novelist Paul Bowles loved Tangiers. He spent 52 years living there and he wrote about the city he cherished in Travels: Collected Writings. His novels and short stories include Morocco often and he recorded Berber Tribal music which is now preserved in the US Library of Congress. Oh, I mentioned Peter O’Toole’s blue eyes and white robes for a reason. 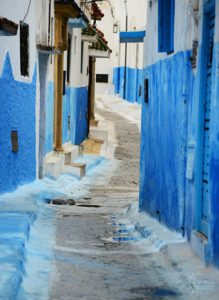 You’ll see a lot of blue and white in Morocco in terms of a color theme. And shades of blue. Shut off from the world for nearly 500 years, Chefchaouen is one of Morocco’s best kept secrets – it’s an all blue city and now open to visitors. Talk about magical charm and mystery, this hilly Moroccan outpost will grab at your heartstrings. Where’s my journal. There are a number of theories as to why these buildings are bedecked in blue whether to mirror the surrounding sea, as a color of optimism and happiness, tranquility or perhaps deeper religious or cultural meanings. You’ll see men garbed in blue in the desert as well and blue fabrics and blue prayer mats. Whatever the reason, Chefchaouen is dazzling and worth the several hour jaunt from Fes to get there. Oh, those handsome men wrapped in blue in the desert are often with one-humped Arabian camels called dromedaries. They will be your cruise ship of choice when it comes to navigating the seas of the Sahara Desert and sand dunes of Erg Chebbi. Sunny tells me that her favorite spot in Morocco is Essaouira. This medina is walkable. 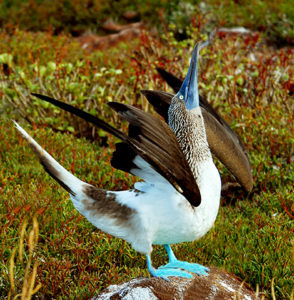 It’s also blue and white and has an active fishing port. Oh, and that 50s movie Othello was shot there, a fan favorite for Orson Wells. Also, walkable but perhaps more challenging is the largest medina in the world, the old capital of Morocco, Fez. With more than 9,500 narrow streets, it is possible to lose your way. I didn’t say getting lost, because winding your way through this labyrinth is a travel adventure. One piece of advice is that you might want to keep your sunglasses on as you shop – merchants may spot you looking and assume you’re ready to haggle. No set price tags in the souks of Morocco’s medinas. Another celebrity that has put Morocco on the map is fashion designer Yves Saint Laurent. 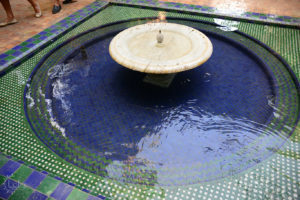 Featured in the 1997 Chelsea Flower Show in London, the Majorelle Gardens, that he formerly owned, has become another ‘go to’ stop in Morocco. 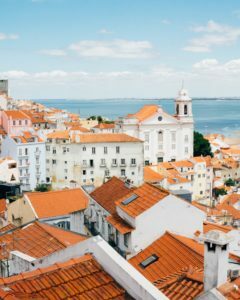 The buildings, of course, are cobalt blue but splash that canvas with bright orange nasturtiums, pink geraniums and yellow lemons. 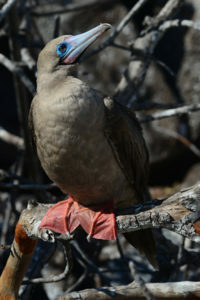 More than 15 different birds have made the Majorelle Gardens their home. 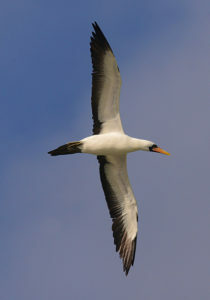 They enjoy flitting from bamboo groves and date palms to lily covered pools. So, your pre-travel diet should consist of watching a few flicks filmed in Morocco to get a sense of flavor, spend some time reading what others have already written about Morocco and finding a friend in a journal. It’s also important to choose the right travel guide, someone who has walked where you will walk, seen what you will see and share what she has learned. Unless you have unlimited time, your resources are best devoted to an expert who has paved the way for your journal of unforgettable moments.